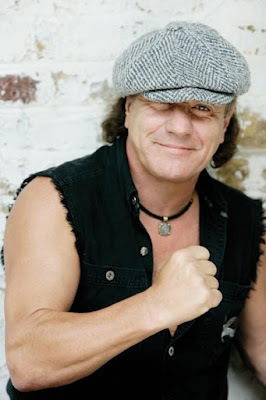 Former AC/DC singer Brian Johnson is recalling his 2016 departure from the band in a new interview with the UK’s Sunday Times. On board for 2014’s “Rock Or Bust” album, AC/DC halted the accompanying tour in early 2016 after Johnson was advised by doctors to stop performing in arenas and stadium-sized venues immediately or risk total hearing loss; Axl Rose stepped in to assist the band complete a spring run across Europe and a ten-show fall US trek. While the UK article spotlights Johnson’s love of cars and his TV series, Cars That Rock, Johnson has previously revealed that the initial source of his hearing loss began while racing at the 2008 Watkins Glen International when he suffered a punctured left ear drum after forgetting to put his ear plugs in during the event. In 2016, the singer began working with the inventor of in-ear monitors, Asius Technologies founder Stephen Ambrose, to find a technical solution that would allow him to return to live performances one day. Johnson made his post-AC/DC live debut when he joined Robert Plant during a guest spot at a May 2017 Paul Rodgers show in Oxford, UK, and followed that up last summer when he performed the band’s 1980 classic, “Back In Black”, with Muse at the Reading Festival.